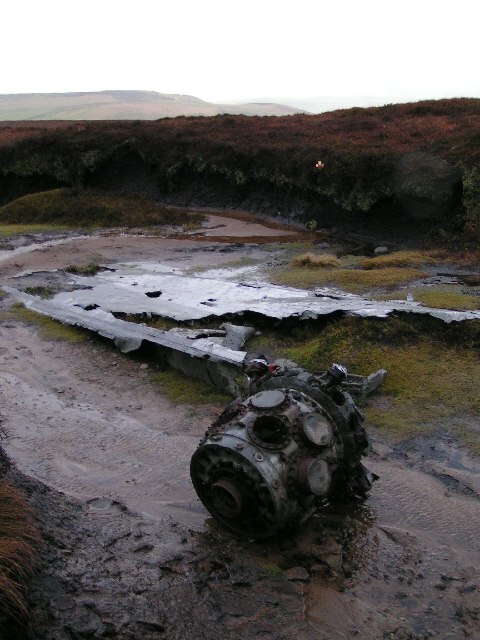 The remains of B-24J Liberator 42-52003 of the 310th Ferry Squadron, 27th Air Transport Group which crashed on 11th October 1944. The hill in the background is Cown Edge, with the Monk's Road summit (SK020922) just visible. This page has been viewed about 569 times.